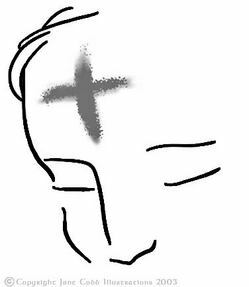 Lent is a season focused on simple actions that draw us closer to God. The Holy Spirit dwells within us and is envious of every idol that draws our attention away from God (James 4:5). The Spirit desires to shower grace on us, enabling us to experience the joy of our salvation. We are invited to experience more of God through humility and repentance. Drawing near to God and resisting the Devil is a painful turn toward deep pleasure. The season of Lent serves as a communal reminder that we all need grace and that we can pursue it together. If you come from my tribe and are still are a bit new to Lent let me give you a few ideas that may help your 40 day journey to the empty tomb. • Simplify your life. Do a little spring cleaning. Bring some order to your chaos. Give stuff away. • Sacrifice something. This is the part of Lent that is most familiar to new folks. Lenten disciplines are designed to prompt us to pray and seek God. I once gave up the car radio. Every time I reached for the nob out of habit I was able to pray. Last year I gave up eating meat. I replaced it with prayer. Pick something that is a regular part of your life and fill it with intentional time with God. • Say grace, a bunch. We often bless our food at family meal times. Begin saying little silent prayers over the rest of your life. “God thank you for this job, church, breath, etc. • Repent and repent some more. I too grew up in a standard Baptist tradition, and am thankful for these "new to me" spiritual practices and how they have enriched my relationship with the Lord. I'm also thankful for a place like Truett that has the courage and insight to introduce me to these larger Christian Church practices. Thanks for the simple suggestions for the season. I may pass some of them along to my congregation. I'll be sure to give you credit.